The Disabled Schoolchild and Kitchen Sense deals with home economics for physically handicapped schoolchildren. 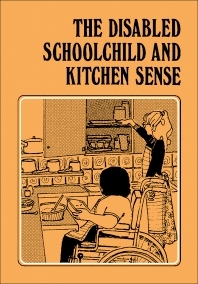 This book is concerned mainly with activities in the kitchen; but these activities are not separated from the many other facets of home economics taught in schools. At all times, there should be consideration of home making in its entirety, and no separation is intended or implied. As with physically handicapped adults, physically handicapped children are capable of and enjoy many more home activities than they are normally allowed or encouraged to undertake. If they are to grow up to become self-sufficient and as independent as possible within the limits of their disability, they must have the opportunity of learning these skills. This book provides necessary information in helping the disabled schoolchildren learn the activities. This text is intended for the home economics teachers in a special school for physically handicapped children.